VILLORBA, Italy — Following the press release of October 29, 2018, Massimo Zanetti Beverage Group S.p.A., listed on the Milan Stock Exchange, holding of a Group leading worldwide in the production, processing and marketing of roasted coffee, announced today that, its Australian subsidiary has finalized the acquisition of the business and the assets of a group of companies known as “The Bean Alliance”, thus strengthening its presence in the Australian market. “We are very satisfied with this deal: Australia is an interesting market with a well-established high quality coffee culture and with the preference of independent roasters. The Bean Alliance, which has been active in the Australian market for over 35 years, was able to create premium brands that stood out for product innovation, in particular in the local roasted growing channel, and for the sustainability project, as confirmed by the many awards and certifications obtained. In addition to strengthening Massimo Zanetti Beverage Group’s presence in Australia, The Bean Alliance’s acquisition opens up an additional development opportunity in the APAC market”. Founded in Melbourne in 1981, The Bean Alliance enjoys a premium position and is characterized by the quality of the main brands. It is present in the Australian market mainly with the “Bean Ground and Drunk” brand, the winner of numerous sustainability awards, Gravity Espresso and Ox3, urban/artisan brands created to meet the needs of artisan coffee shops and the new specialty coffees, which are particularly welcomed by the new generation of barista. Finally, the “Indulge Your Senses” brand is for drinking chocolate produced in Australia. In just a few years, The Bean Alliance has been able to build a significant reputation in the Australian market, as confirmed by the many awards and certifications obtained (such as fairtrade and organic). The related products are distributed in the main domestic retailer chains and in the local roasted premium channel for café chains. In the fiscal year ended June 30, 2018 The Bean Alliance revenues reached AUD 24.5 million and normalized EBITDA was AUD 3.0 million. The Bean Alliance is based in Melbourne, where it has approximately 60 employees and a factory (roasting plant). The current management team of The Bean Alliance, including the company’s founders, will continue to lead the Group, with the aim to ensure operating continuity trading as “Bean Alliance Group”. The acquisition price is AUD 24.0 million with net financial position equal to zero. Furthermore, the agreement provides for a potential earn-out to be paid in three annual instalments, starting from 31 January 2020, should the specific annual qualitative and quantitative targets agreed be achieved. Massimo Zanetti Beverage Group S.p.A. is a world leader in the production, processing and marketing of roasted coffee and other selected categories of colonial products, distributed in about 110 countries. The Group manages the different activities, from procurement to consumption, operating 20 facilities across Europe, Asia and the Americas, and through a global network of about 400 coffee shops in 50 countries. 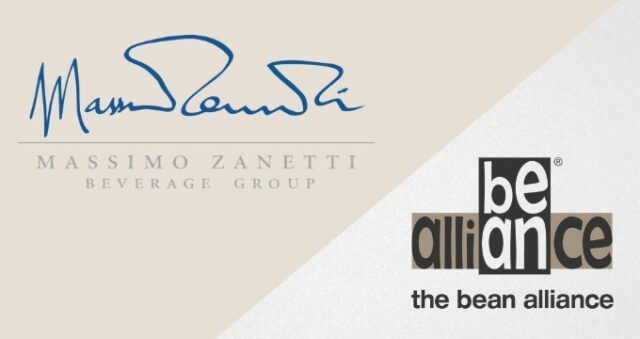 Moreover, Massimo Zanetti Beverage Group completes the range of its products through the sale of coffee machines and complementary products, such as tea, cocoa, chocolate and top-quality spices.